Homebuyers often begin their search by looking online to decide which homes they want to visit. If you are listing your home online, make improvements to the exterior of your property before taking pictures. 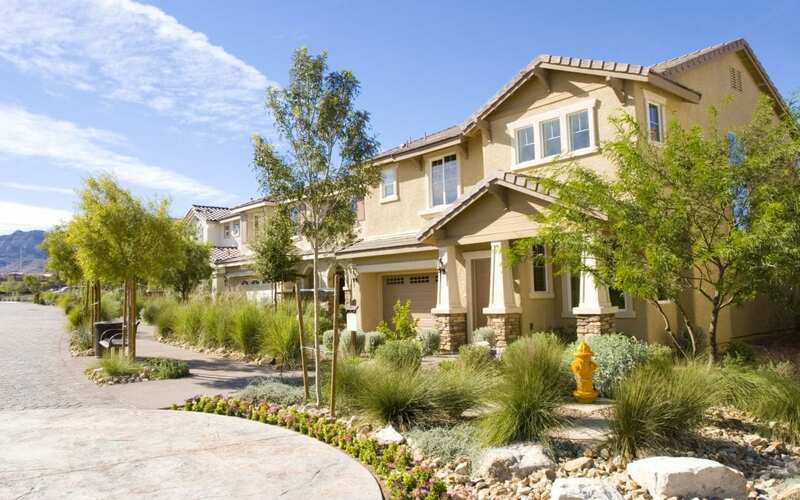 Curb appeal also influences homebuyers who arrive at the property. Improve your home’s curb appeal to make a great first impression on a potential buyer. The front door is the focal point of the home’s exterior. Creating an attractive door is essential to curb appeal. If your front door is already in good condition, paint it a complementary color and install new a doorknob and knocker. A front door that’s in poor condition indicates to the buyer that the home isn’t well cared for. Installing a new front door is an extra expense, however, a new door can increase the value of your property. Any cracked or damaged siding on your home should be repaired or replaced. The exterior of the home may need a fresh coat of paint if it’s flaking, faded, or outdated. Choose a neutral paint color that fits the home’s architectural style. Look at similar homes online or in your own neighborhood to inspire color choices. If you have vinyl siding, have it power washed to make it look brand new. Check out your roof to improve your home’s curb appeal. A decades-old roof that has many missing shingles or tiles or other significant damage is not appealing to potential homebuyers. Before listing your property for sale, have your roof inspected to see if a replacement is necessary. Roofs that don’t need to be replaced should be cleaned and repaired as needed. Also, make sure your gutters are clean and in good condition. Create an inviting porch by cleaning lighting and fixtures, installing a new house number, adding a new welcome mat, and removing faded or damaged porch furniture. These easy improvements cost very little and greatly improve your home’s curb appeal. Flower boxes filled with colorful annuals look nice on porch railings. Comfy chairs or a porch swing help potential homebuyers imagine relaxing outdoors. The lawn needs regular maintenance and mowing while your home is on the market. Prune overgrown foliage on shrubs and trees. You may want to remove large trees or shrubs that block the view of the home from the street. Keep sidewalks or pathways cleared and in good condition. Keep the walkway to your home well-maintained and inviting. Sky Island Inspections offers pre-listing inspections to Southeast Arizona to help you address any issues before listing your property for sale. Contact us to schedule an appointment.